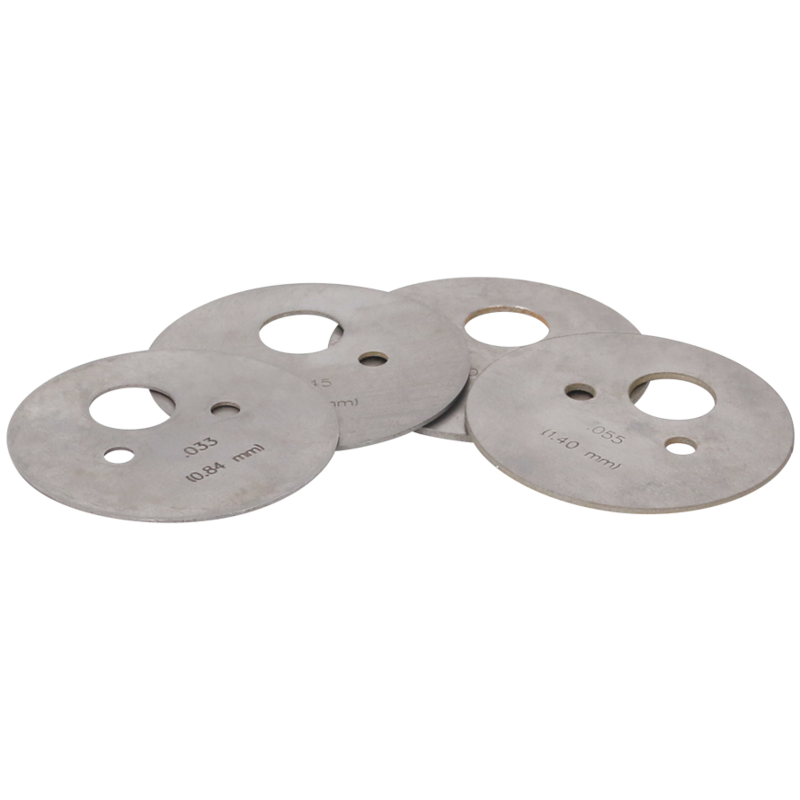 Part of the QuickTap™ family of products, QuickTap™ Punch Shims are designed to be used with the QuickTap™ tapping tool, manufactured by Wilson Tool International. Punch shims are available for C- and D-station tools in a variety of thickness options. As with all Wilson Tool International products, QuickTap™ Punch Shims come with top-notch customer service and the shortest lead-times in the industry. Tapping is a very important part of many manufacturing operations. When the product isn’t working, the operation can slow down. Because of this, having a fast, reliable service provider is key. Wilson Tool offers best-in-class services for the new QuickTap™ tapping tool. Not all service needs are the same — service is based on needs. Contact us today and our tooling technicians can help you customize your repair. For more information on the QuickTap™ tap tool, see QuickTap™ product details. No matter how unique your requirement, Wilson Tool International will design and manufacture thick turret tooling to meet the needs of your application. The special tooling you see here is just a sampling of the vast solutions we offer. Don’t see what you’re looking for? Send us a drawing and the Wilson Tool team will work with you to create the solution your job requires. In the products below, explore common forming solutions like louver and extrusion tooling, as well as innovative solutions like the Wilson Wheel® family, custom cluster tools, form tools that make weld-free connections, Opti-Bend® for bending in the punch press and the time-saving QuickTap™ tapping tool. To explore standard thick turret punch tooling, visit our Thick Turret Standards section.